Peanut butter cups are dangerous. 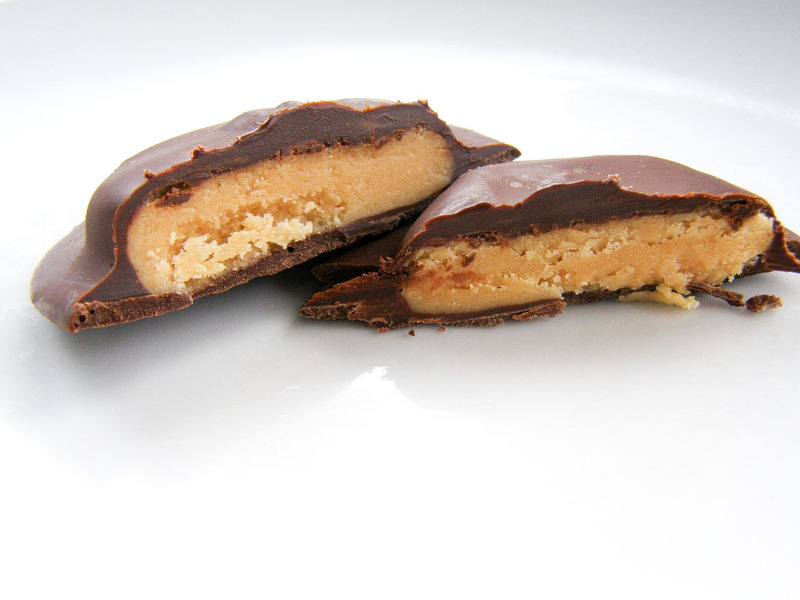 They taste amazing, are extremely high in fat and calories and are much, much too moreish! 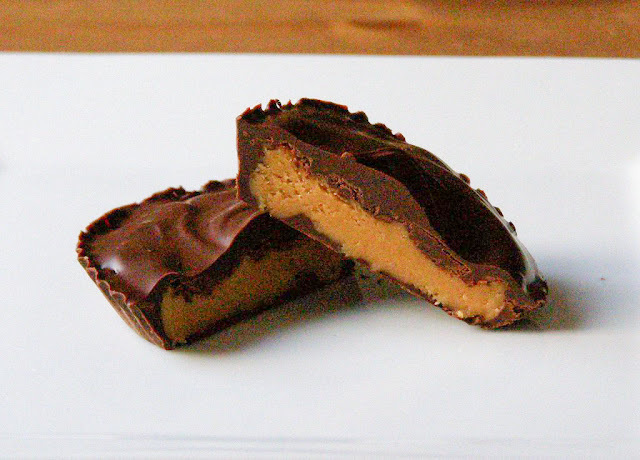 I started off making this as just 1 peanut butter cup as I was just testing out the recipe on Joy of Baking - the recipe there makes 36 mini cups and didn't want to use that much peanut butter if it was a disaster! Then if it turned out I would make and blog the full version. However, I decided I like the single serve concept here. 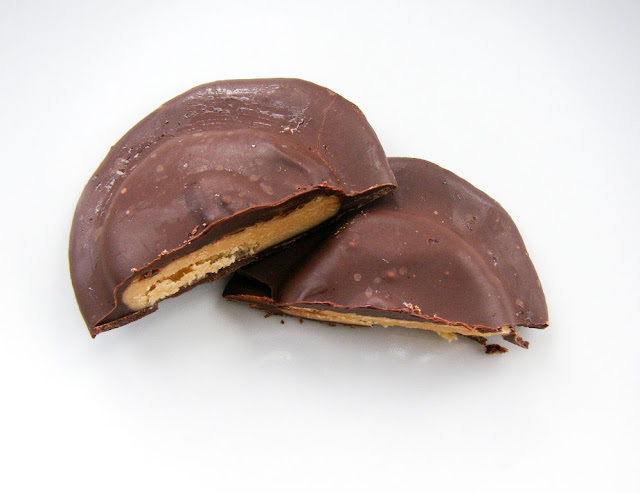 It makes one large peanut butter cup, about the same calories as a whole chocolate bar so not something you want a lot of in the house, or at least I don't as I wouldn't be able to resist eating loads in a day. But you can of course just click on the link there for the full version if you prefer :-) Furthermore, this is so easy that you can just whip one up for yourself! I used a paper cupcake liner and cut it down to the size shown, then place the peanut butter, margarine and salt in a bowl and mix well. The recipe said to warm gently in the microwave but as margarine is softer than butter this wasn't necessary. Stir in the icing sugar. 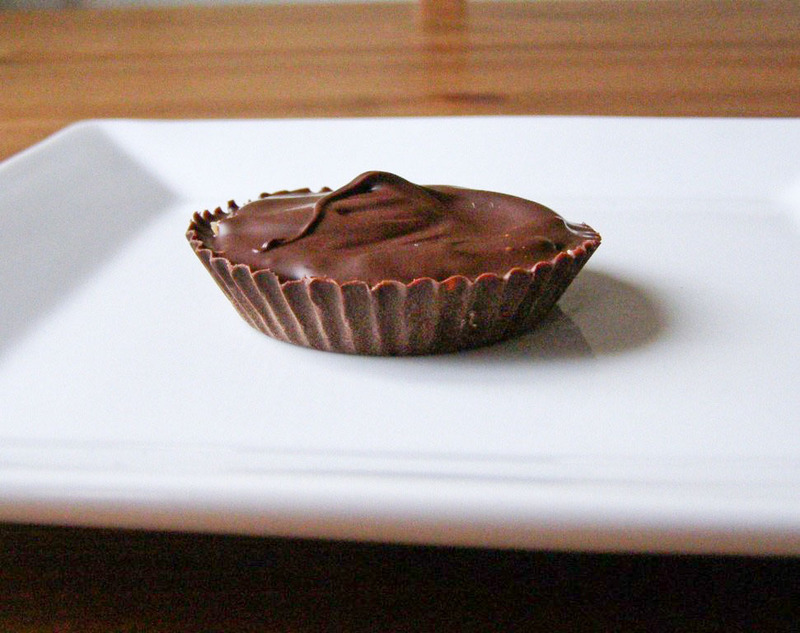 Melt the chocolate in the microwave then stir in the vegetable oil. I then spooned a small amount of chocolate into the liner and swirled it around until all the sides and bottom were coated evenly. In hindsight I should have then placed this in the fridge to set before filling but didn't. As you can see it still worked out but it was tricky getting the much thicker filling to spread over the melted chocolate, if that makes sense.... Anyway, you then spread the filling in then spoon and spread over more chocolate to cover. Place in fridge until set then peel away the liner. I can't remember how long it was in the fridge for but it wasn't long at all and at that stage was set but still soft enough, I think hours in the fridge might make the chocolate too hard, just check it now and again. 2012 Edit - An easier way if you are just making this for yourself and have no need to go for the classic peanut butter cup shape is to simply spread about half the melted chocolate onto baking paper, shape the peanut butter mixture to a flat ball and place on the chocolate then pour the rest of the melted chocolate over top and chill to set. I *needed* mine quick and first popped it in the freezer for about 1/2 hour then in the fridge for 15 minutes and it was perfect.